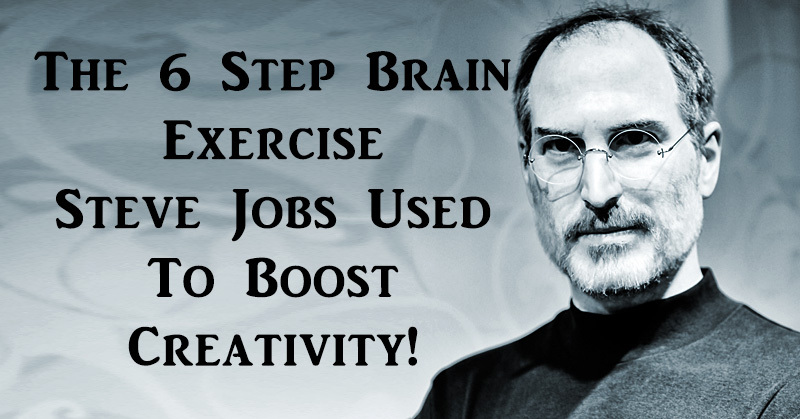 The 6 Step Brain Exercise Steve Jobs Used To Boost Creativity! Even a seemingly calm brain can be an incredibly busy place. It’s only really through meditation that we learn to work with – not change – this level of busyness. What Steve describes there, my friends, is Zen Meditation. Steve discovered the practice when he visited India as a young man in the 70s. In the years that followed, Steve continued to practice and hone his meditation and awareness techniques. This was unheard of in the business world at the time. But today, Zen Meditation is practically ubiquitous among creative business minds working everywhere from Google to Goldman Sachs. Say, how would you like to give Zen Meditation a try in your life? What follows are 6 simple steps put together by Geoffrey James, one of Steve Jobs’ close friends. Sit cross-legged in a quiet, peaceful place. 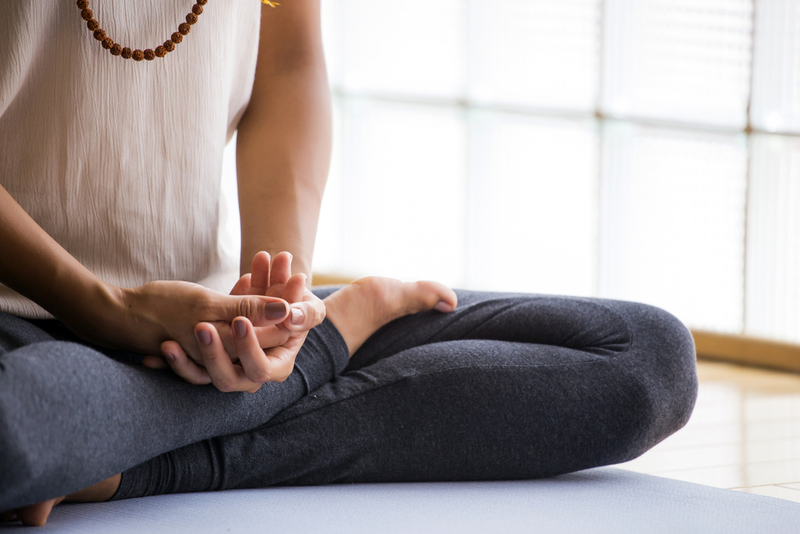 According to the Hindu religion, the cross-legged pose awakens ‘kundalini’ – dormant energy in the body. Close your eyes and focus on your existing thoughts. Your goal is not to change them or make them simpler; all you’re trying to do is pay attention to them. Pay attention to how your thoughts jump from one topic to another. Do this for five minutes. That wild, crazy flow you’re observing? Buddhists refer to that as the ‘monkey mind.’ In this step, you’re going to try and shift focus to your ‘ox mind.’ The ‘ox mind’ is aware of the chaos around it but it simply contemplates life. 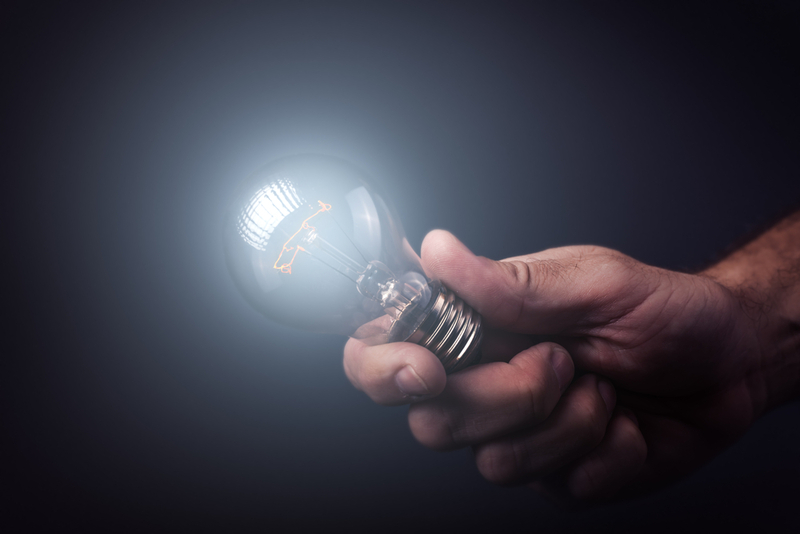 As you notice yourself toying with the idea of your ‘ox mind,’ ask your brain to slow down. Don’t try to force it; just ask. When you feel like your ‘ox mind’ has taken over, move onto the next step. Continue concentrating on your ‘ox mind.’ You should feel your breathing slowing down. You’ll become aware of the sensations in your body such as the flow of air. As you open your eyes, the world should appear much different than when you first shut it out. The objects around you should appear just as your thoughts – not requiring change. Keep practicing this. With time, you’ll become in tune with yourself and your time spent meditating will fly right by. Ideally, this should become an instinct. Whenever you’re faced with a problem you can’t seem to solve, practice Zen Meditation. Want to learn more about how Zen Meditation influenced Steve Jobs? Have a look at this video! Here’s the book discussed in the short clip. 1. There is no almighty God in Buddhism, no one to hand out rewards and punishments. 2. 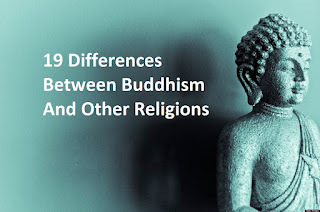 Buddhism is not strictly a religion in the context of being a faith toward a supernatural being. 3. In Buddhism, the ultimate objective of followers/practitioners is enlightenment and/or liberation from Samsara, rather than heaven. 4.A Buddha is not a savior who saves others by his personal salvation. Although a Buddhist seeks refuge in the Buddha as his incomparable guide who indicates the path of purity, he never promises to remove impurities from those on the path. 5. The relationship between a Buddha and his disciples and followers is that of a teacher and student, not God/servant. 6. Buddhism does not call for an unquestionable blind faith by all Buddhist followers. It places heavy emphasis on self-reliance, self-discipline, and individual striving. 7. The teachings of Dharma are universal and are not rooted in Buddhism alone. Sakyamuni Buddha (as the historical Buddha) discovered and shared the teachings/ universal truths with all sentient beings. He is not the creator of such teachings — just the transmitter. 8. 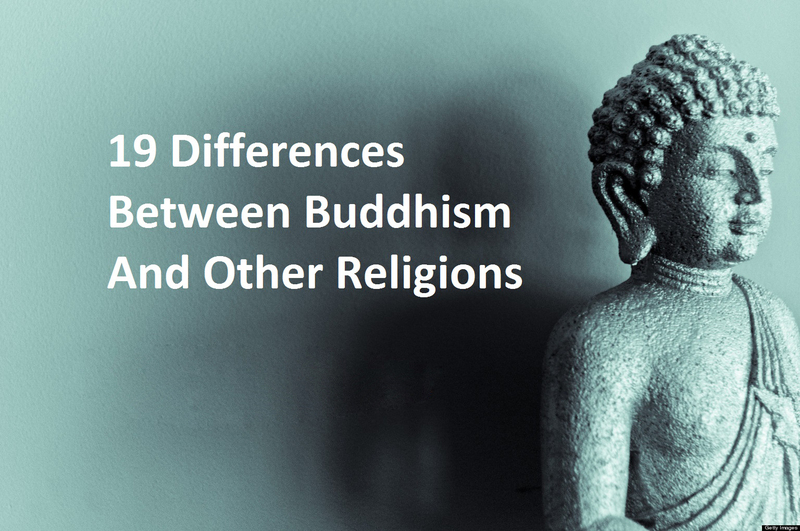 The concept of Hell in Buddhism is very different from that of other religions. It is not a place for eternal damnation as viewed by ‘almighty creator’ religions. In Buddhism, it is just one of the six realms in Samsara (the worst of three undesirable realms). 9. There is no concept of sin in Buddhism — just karma. 10. All sentient beings have Buddha Nature/ Essence. One can become an enlightened being (Buddha) in due course if one practices diligently and attains purity of mind (ie absolutely no delusions or afflictions). 11. Karma is a cornerstone in Buddhist doctrines and refers to an important metaphysical concept concerned with action and its consequences. The law of karma explains the problem of suffering, the mystery of the so-called fate, and above all the inequality of mankind. 12. Buddhism places a high value on compassion for all living things, including animals. Vegetarianism is recommended but not compulsory. 13. Buddhism goes beyond doing good and being good. One must not be attached to good deeds or the idea of doing good; otherwise, it is just another form of craving. 14. There is no holy war concept in Buddhism. Killing is breaking a key moral precept in Buddhism. One is strictly forbidden to kill another person in the name of religion or worldly excuse. 15. Buddhist teachings have no mentions of beginning and or end to one’s existence. There is virtually no recognition of a first cause — e.g. how does human existence first come about? 16. The Buddha is omniscient but he is not omnipotent. Buddha does not claim to be a creator of lives or the Universe. 17. The tradition and practice of meditation in Buddhism are important and strong. 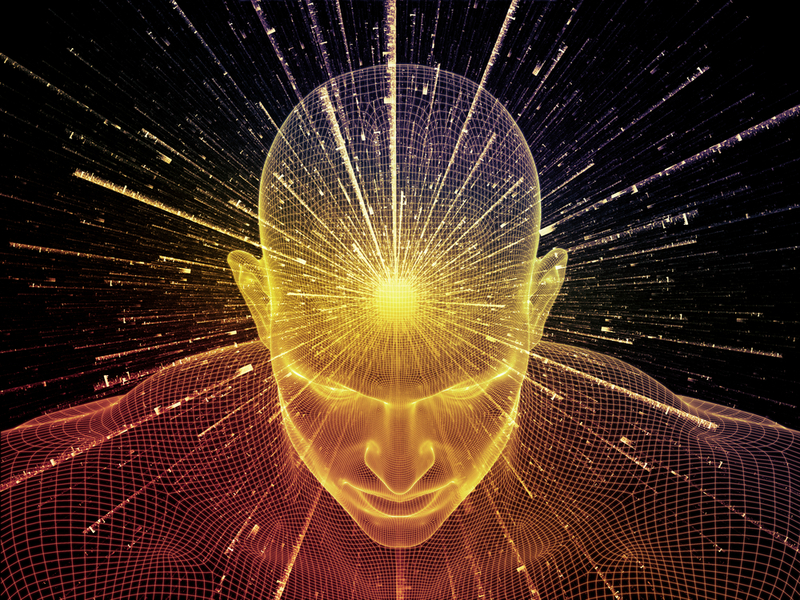 While all religions teach some forms or variations of stabilizing/single-pointedness meditation, only Buddhism emphasizes Vipassana (Insight) meditation as a powerful tool to assist one in seeking liberation/enlightenment. 18. The doctrine of Sunyata or Emptiness is unique to Buddhism and its many aspects are well expounded in advanced Buddhist teachings. Briefly, this doctrine asserts the transcendental nature of Ultimate Reality. It declares the phenomenal world to be void of all limitations of particularization and that all concepts of dualism are abolished.